Some guys roll the sportbikes into the garage at the first sight of winter weather. We don't think that's how it should be. So we assembled our top six outfits for the sport rider that wants to extend the riding season into the lower temperatures. These outfits will generally feature aggressive styling and a cut that is designed to be in the tuck position. Outfits in this guide come from REV'IT!, Icon & Alpinestars. All of this said, we think this guide will present a bunch of different choices and styles for the winter sport motorcycle rider. Watch below, our Cold Weather Sport Riding Gear Guide. 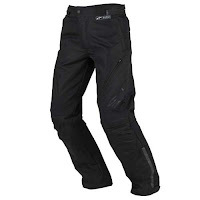 Our first featured outfit is the Alpinestars Argon WP Jacket & Alpinestars Edge Drystar Pants. Highlighted by that classic Alpinestars style, the Argon WP Jacket is built on a 600D chassis with a PU coating that adds to the waterproofing & durability of the coat. Sandwiched between the outershell and the interior is a waterproof breathable membrane that keeps you dry while allowing perspiration to evaporate out. The jacket features a removable thermal liner and the Edge Drystar pants have the Drystar membrane, offering upgraded waterproofing and breathability. 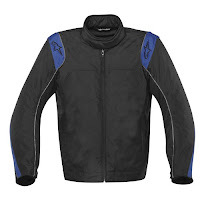 Alpinestars utilizes their proprietary CE rated Bio Armor in the shoulders, elbows & knees. There are ergonomic stretch panels in the right places for comfortable articulation and as always with AStars, YKK zippers throughout both the jacket and pants. This outfit is one of the more muted options in our winter sport riding gear options for a subtler vibe. Amping up the aggressiveness (as they tend to do), we paired the Icon Contra Redeemer Jacket with the Icon Insulated Canvas Pants. The Redeemer is a graphic version of the Icon Contra Jacket, which comes in at a lower price point. The street riding theme of this outfit extends to the fit which is urban-styled, generous, and a little looser than the European-designed gear in this guide. The jacket has removable CE rated Icon Field Armor in the shoulders and elbows, while the knees have aramid reinforcement panels in the knees. Both the jacket and pants feature removable insulated thermal liners to give you the flexibility of riding in the cold with the liners in or pulling them out and getting into some milder temperatures. What really shines on this outfit is the graphics of the jacket. As Icon puts it, "the Contra Redeemer is a worthy talisman in the continuous quest for moto salvation." If you're a moto guzzi or light motorcycle guy or general retro enthusiast, the vintage styling of the REV'IT! CR Textile Jacket paired with the REV'IT! 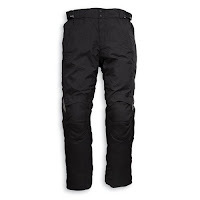 Factor Pants might be just what you're looking for. 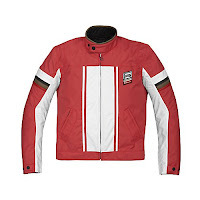 With bold, blocky racing stripes down the front, back, and sleeves of this jacket, it screams vintage rider. 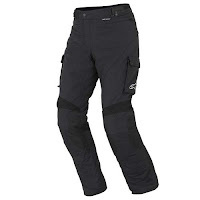 CE rated armor in the shoulders, elbows and knees, a water-resistant treatment on the jacket with Hydralining waterproof breathable membrane built into the pants. The jacket has a built-in jeans loop for riding on milder days and a removable thermal vest liner (the pants have removable thermal lining as well) for when the temperature dips. Also available in a stylish retro red color, the jacket isn't the warmest in this lineup, but as far as style is concerned, it gets it done. You will get great performance out of this outfit in Fall, Winter and Spring. The Alpinestars Ransom WP Jacket & Alpinestars ST-5 Drystar Pants combo is going to keep you absolutely warm and dry in the colder months of the year. 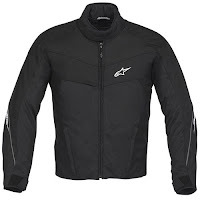 The jacket features a built-in waterproof breathable membrane and the pants have Alpinestars' upgraded Drystar membrane, equally waterproof but slightly more breathable than the jacket. Each piece in this outfit has a removable quilted thermal liner for cool and cold weather versatility. Removable CE rated armor in the shoulder, elbows & knees and a strong 660D pants construction equates to excellent protection from abrasion and impact in this combo. 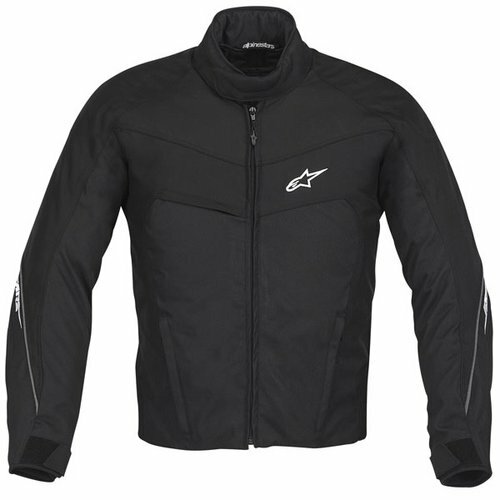 Alpinestars subtle styling in the jacket is a real draw for the sporty rider with the understated color blocking and the high profile collar. Another great option in our Cold Weather Sport Riding Guide that is going to perform excellently in the cool and cold weather, wet or dry. Gixxer guy? We've got you covered. 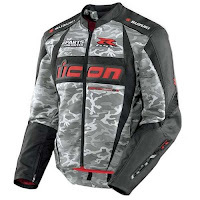 The Icon Arc Jacket comes in a couple of different designs, but the Icon Arc Suzuki Jacket was designed with only the GSX-R enthusiast in mind. 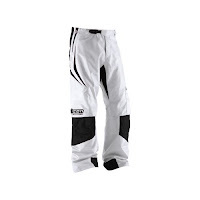 Couple it with the Icon Arc Textile Pants and you can ride your bike in the winter with an aggressive look. The jacket is the only one in this bunch that features a mix of textile and leather, with 1.2-1.4mm premium cowhide in the impact areas. It also has removable CE rated armor in the elbows and shoulders with a removable insulated liner for temperature versatility. 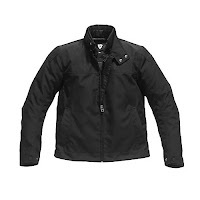 The jacket is designed in a very urban style with a loose and relaxed fit. 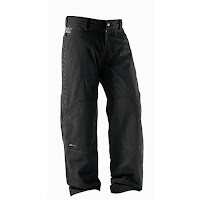 The same goes for the pants, which also have removable armor in the knees and durable Cordura and Aramid reinforcement panels. Sized as an overpant with a loose fit, be sure to order your normal pants size if you're wearing them over jeans. If you're gonna rock them commando, buy one size lower for proper fit. Last but certainly not least in winter sport riding gear guide, the REV'IT! Bronx Jacket and REV'IT! Factor Pants (we know, we feature them a lot..) is the most understated of the lineup, and will probably appear most to the city guy, whether he's riding a light motorcycle or even a scooter. Both the jacket and pants are constructed with high denier fabrics for abrasion resistance and offer Knox CE rated armor in the shoulders, elbows and knees. The Bronx is essentially a waist-length version of the REV'IT! Brighton Jacket, which is showcased in another of our winter gear guides. Other than the muted style of this combo, my favorite nuance is the removable knitted collar. When it's frosty out, keep it attached, but when the temperatures are slightly high in the Autumn or Spring, pop it off and you're riding comfortable. That does it for this installment of winter gear guides. Be sure not to miss our full series of guides, including our Winter Motorcycle Glove Guide.